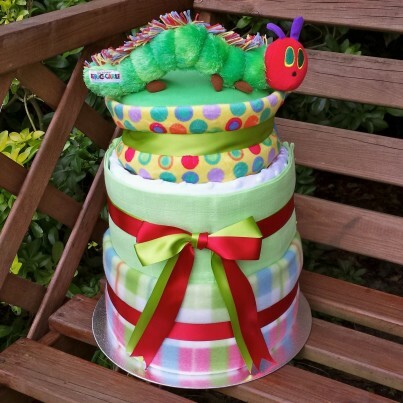 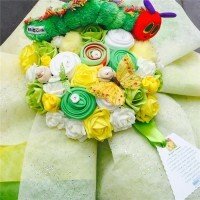 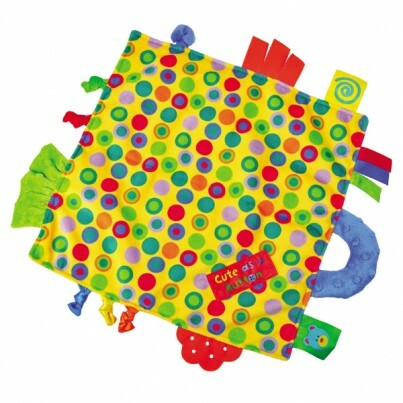 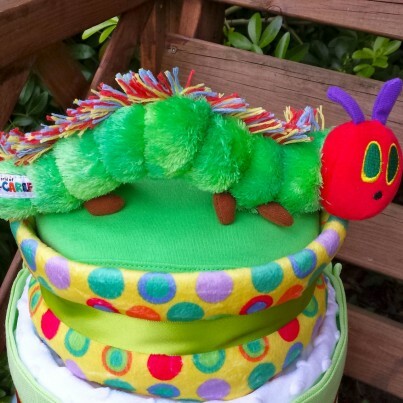 I am sure a lot of people will remember the wonderful Hungry Caterpillar story from their childhood. 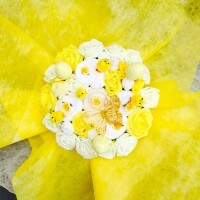 This nappy cakes will bring back memories and makes a perfect gift for a beautiful baby girl or baby boy. 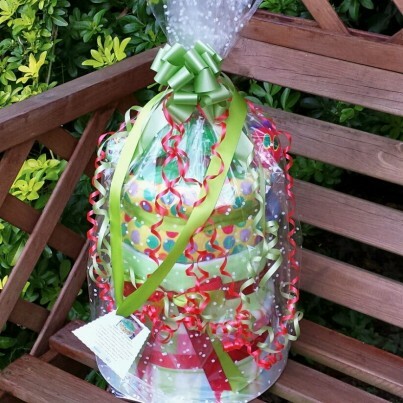 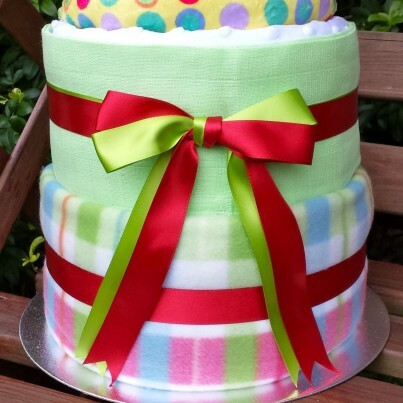 Gift wrapped in celophane and finished off with a large green pull bow and red curling ribbon.